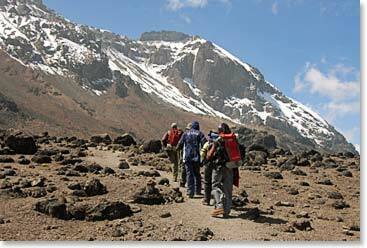 Away we go to Northern Tanzania for an exciting climb of Africa’s highest mountain, Kilimanjaro at 19,340ft/5895m. Adventures are nothing new for this seasoned group of outdoorsmen and women, many of whom are members of the Philmont Staff Association. To become a member of the association, you must have worked at the Philmont Scout Ranch in Cimarron, New Mexico or at one of their partner establishments. The Philmont Scout Ranch first opened in 1938 and has created adventures for over 930,000 Scouts, Venturers and leaders since then. Today it operates camping, training and work programs for youth and adults wanting to spend time in the great outdoors. 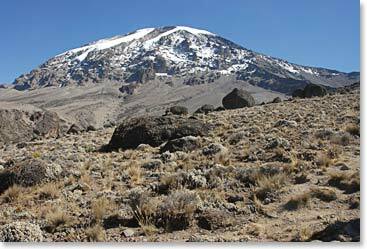 This group of veteran Scouts and their friends will climb the scenic and exciting Lemosho Traverse in hopes of reaching Kilimanjaro’s Uhuru Peak, the summit. Following their climb to the rooftop of Africa, some members and their families will continue their adventure on safari where they will travel to Tarangire National Park, to Ngorongoro Crater and to the Serengeti. One thing’s for sure, these climbers and their families are going to “BE PREPARED” for the challenges ahead. Follow along as they create legendary memories suited for telling around the campfire. June 20, 2011 – Summit Success for Everyone!